The latest issue of Know Stuff, the Library student newsletter, is now available from the Library Portal. Or, you can click here to view a copy. Some campus Libraries may also have print copies available. Put your feet up and enjoy our last edition for 2013! A new LibGuide has recently been published for Photography. You can find it at http://huntertafe.libguides.com/photography. 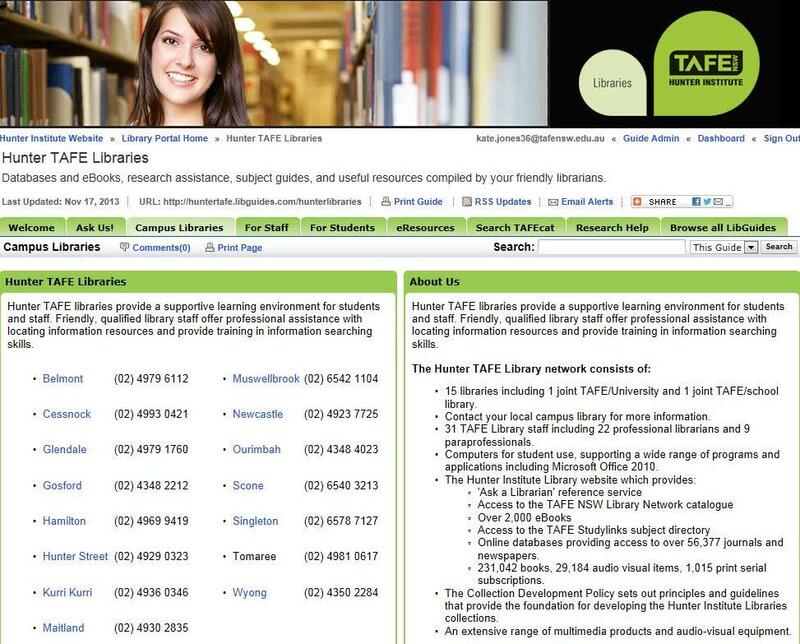 You can search for more Libguides from our Library webpage or view the entire list of available guides at http://huntertafe.libguides.com/browse.php.